In January, the deputy head of the CNSA Wu Yanhua explained that Chang’e 5 and 6 would serve as missions to return samples from the moon while Chang’e 7 will survey the South Pole, this lunar area is of great interest for human colonies since holds water ice. Yanhua added that they hope Chang’e 8 will be able to test out some technologies and explore the moon to determine how to build a joint lunar base that multiple countries can share. Once again, China is not the only one who wants to send humans back to the Moon. Both NASA and the ESA have plans in the works. The ESA’s new director-general, Jan Woerner introduced plans for a permanent Moon base in 2016. His ideal ‘Moon village’ would be home to a diverse set of people such as scientists and artists, as well as public and private organizations. 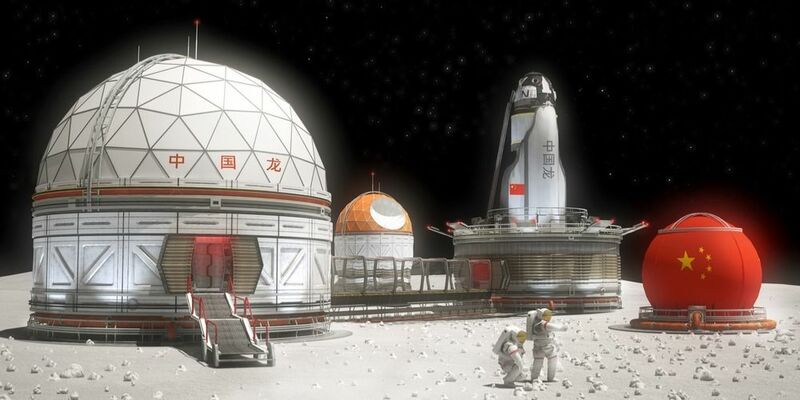 The lunar base would serve many purposes such as astronomical research, tourism, or mining minerals. Ariel Ekblaw, the founder of the MIT Media Lab’s Space Exploration Initiative, is also looking to “democratize space.” Thus, he has formed multi-disciplinary research groups studying everything from robotics and synthetic neurobiology to architecture, art, space, and even design.